Thank you for your interest in the Interface Engine Checklist, which will help you compare interface engines and choose the right one for your hospital. 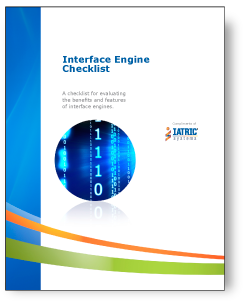 If you are currently using point-to-point interfaces or thinking about upgrading to a more advanced interface engine, this checklist is for you. After you’ve filled out the form, the checklist will be immediately available.